As an information technology specialist myself I find it constantly frustrating how I'm mislead or not informed by vendors and retailers about buying decisions I might make. There are lots of PC buying guides available out there but they are either too specific about technology choices so they date very fast or do not help you meet your specific requirements. They are often too high level and only explain the very simplest of specification details and the minute a sales rep or consultant gives you other options or explanations you are lost. 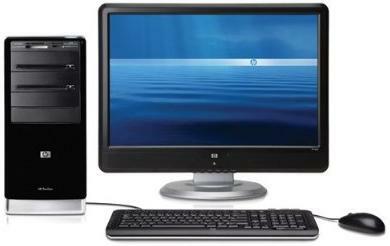 This guide is aimed at the novice to moderately experienced PC user. If you are a guru or expert you should know most of this already. As an example of how easy it is to be mislead a very well-known big leading PC brand was recently advertising its "xyz-wizbang" PC with an amazing 12GB of memory, Extreme Intel Quad core processor and Quad graphics cards. Sounds impressive huh? When I saw the low price I became suspicious. When you click on the link for more details, then click on the options, then click on the technical specification, then read it very carefully and you find it only has 3GB of memory but is expandable to 12GB, has a standard Intel processor but has an option for the Extreme, and supports Quad graphics cards but comes with just one. You can imagine without digging into the detail the price would have been quite seductive. A favorite proverb of mine goes something like "Give a hungry man a fish and feed him for a day, give him the tools to fish and feed him for life". Well that about perfectly summarises the intention of this guide. Given just a little more information you can adequately specify your own requirements, cross-examine vendors and retailers about their advertised machine specifications and reward yourself with a good quality PC that will last and do all that you want it to. The added bonus to learning how to buy this way is that it wont date, the same concepts as I explain here have applied broadly since the mid 1980's. A lot of the understanding lies in demystifying the jargon and I will do a lot of that using simple terms. Clearly more understanding is needed as I still get asked from time to time "What is the difference between 4GB RAM and 300GB of hard disk, and which do I need?". Hmmmm, if you are in this category you need to read this now.... The components of the PC Before we can make decisions we need to know what everything in the PC does and how it does it. • The CPU or Processor - The processor is the engine of your PC it executes instructions millions of times a second to get the work you want done finished. 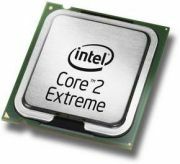 Modern processors will have multiple cores and are known as Dual core (2 cores) or Quad core (4 cores, soon 'Octa' 8 core processors will be available) which makes them a bit like my wife i.e. capable of doing more than one thing at a time, or multi-task. So lets say I ask my computer to give me a million lottery numbers and it takes eight seconds to complete (it would actually finish in the blink of an eye). With a Dual core this would only take four seconds as I could get one core to give me half a million numbers and the other to do the same, at the same time. So on a Quad core using the same logic it would only take two seconds. Breaking up tasks like this is called multi-threading. So that's the theory if you can break up a big task into multiple smaller tasks that can all be executed simultaneously then the more cores the better. However there's a catch.